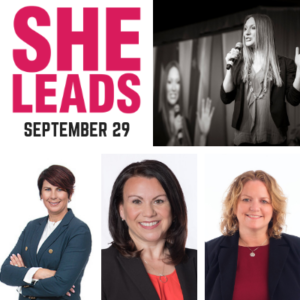 Sport PEI’s “She Leads” is being held September 29th at the Holiday Inn Express Charlottetown, 9:00 am to 12:00 pm. Two-Time Olympic Gold Medalist, Heather Moyse will headline the event. Moyse has become an engaging speaker renowned for filling her audiences with motivation. These professional and articulate women will chat about their experiences as female leaders in their work, sport and life. Moyse will take the stage for a Q&A around her career and her new book, “Redefining Realistic”. Cost is $40/person. The first 25 registrants will receive a copy of “Redefining Realistic”.